Cooler temperatures yah! I decide to spend some time at home doing odd jobs as I have been putting them off and blaming the weather. Decorations came down which always makes the family room look bigger and less cluttered, that makes me happy as I am not one that does clutter very well. I tidy the room and give the floor a good vacuum. Washing on before I tackle the kitchen. After breakfast of course which today consisted of a blueberry smoothie. As I tend to cook a fair bit my pantry is always full of ingredients and I had noticed over the Christmas tiny mite type things in there so I had to investigate and of course discovered I had weavels. So, out came everything and I threw away so much flour based products. I do get these weavels from time to time I’m sure I can’t be the only one!! That chore took me longer than expected. I stopped for a cup of tea before I started on cleaning my kitchen then moved on to tidying up my study especially the computer desk. All boring things but needed to be done. Katie was still very quiet today. Hope she is OK. Andrew came home just after lunch today which was good and he and Katie went to pick up a second hand bike that they had bought. Bargain apparently! Thomas and I sneeked in some reading time whilst they were out which is where today’s photo comes in to play. It is the cover of the book I am reading. A sequel to the one I read last year. 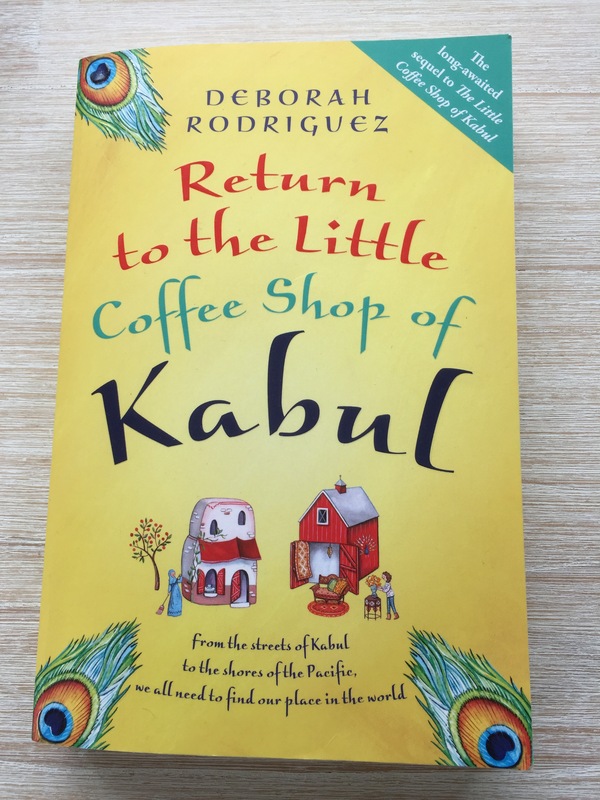 I find it hard to start books but once I do I really get into them and love the time to read. I am not a particularly fast reader but I enjoy it. Thomas who hardly ever reads has been engrossed in a book I bought him for Christmas which is the autobiography of the founder of Nike “Shoe boy”. Thomas loves his “shoes” with a passion and has a small collection of the most expensive training/sports/casual/running shoes. He finished the book this afternoon and loved it. Well done Thomas. Hopefully there were some parts of the book he took notes on. Salmon was on the menu for tea which we ate at the same time as speaking to my father overseas. He is planning a trip back to Australia next month and was talking to us about that and what he’s plans are. I do miss him not being around as we were so close and I don’t really want that feeling to be lost. Andrew and I managed to watch one more episode of The Tunnel this evening, it’s getting very complicated with so many characters. With 2 episodes to go I’m hoping it will all come together. It is very intriguing. Day 2 – Today was the kind of day where we were unsure of what to do. Once again we woke to the oppressive heat & humidity which quite frankly I’ve had enough of. So after a “clean” breakfast of freshly squeezed lemon juice and fruit salad with Greek yogurt we decided to go to the shops to purchase a birthday present for our daughter and to cool down. Mission accomplished as we bought of all things a beautiful coat for her to take back overseas. She will utilise this very well I think. As with all our small outings we stopped for a coffee and watched the passers by for a bit. We giggled a bit when we saw an entire family all dressed in their ‘Star Wars’ attire obviously Christmas presents and the first opportunity to wear them out. 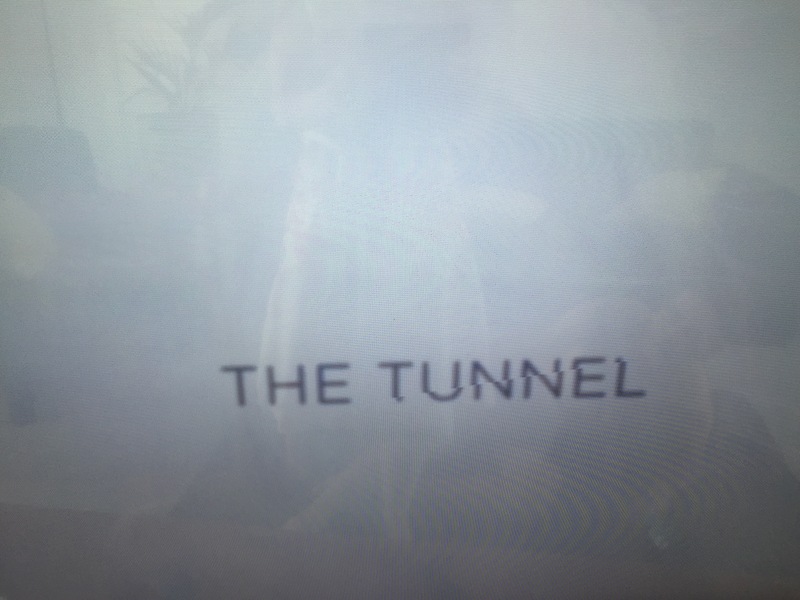 We ventured home for lunch and decided after a few chores to settle down and enjoy a few episodes of the current crime series we have started to watch on Netflix ‘The Tunnel’ (today’s picture). This is a French & English combined series as a spat of gruesome murders take place in each country starting with a body found in the Euro Tunnel which turns out to be the top half of one person and the bottom of another! Great intriguing series keeping you on your toes. We are really enjoying this. Now what…….tv viewing over (restricted ourselves to 2 episodes) we then decide to go for a walk, we needed a few bits for tea so walked to our local shops. We find whilst doing a small amount of excercise (which does need to increase somewhat) it gives us an opportunity to talk to each other. As we get older and leading busy lives I believe it is important to not be living seperate lives under one roof. This may work for some people but I don’t think that’s us. Today’s tea – Goan Fish Curry. As we are trying to eat sensibly I decided to cook with fish tonight courtesy of Joe Wicks. The four of us were home together tonight which always makes me happy. I was a bit disappointed to see that our son had taken in too much sun on this torso so, much to he’s annoyance we all reminded him of the skin dangers the sun posed. The evening finished off with the discussion of a short break to Noosa. We love to go there and were all quite excited about this idea. Once the Christmas holiday crowds have gone I think we might go. As predicted the rain storm came through about 8.30pm and was a welcomed relief to dislodge the heat & humidity. A much nicer temperature to sleep. So as my days title suggested it was a mixed day of events. Andrew is back to work tomorrow but I have another week. This blog starts as one 366 day journey ends. I have been inspired throughout the year by my daughters “A Photo A Day” blog. Katie has given us an insight to her 2016 year. The blog featured many travel experiences she had as well as her personal feelings and thoughts, everyday occurrences and sometimes historical facts of something she may have encountered. Living so far away from her family it meant that we could be closer to her and enjoy her journey with her. A simple photo of a cup of coffee gave us pleasure that she was having down time. Now that her year has been documented I would like to take over and give readers an insight into my day to day life. I will try to make it as exciting as I can but purely an honest account. Let’s face it I am a 53 year old ! But, I’m hoping this is the year that becomes exciting and eventful and you get to be part of that too. Day 1 – We saw the new year in quietly with friends. New Year Celebrations are not what they used to be – who agrees? After a slow hot start to the day (not enjoying these hot/humid days) we decided to take a trip into the City, what for we didn’t really know! However, we strolled, wandered in & out of shops, chatting constantly, we spoke of upcoming plans & trips but not really cementing anything in particular but we do have a scope in which to work from. A couple of changes to our lives were discussed so let’s wait and see where they lead. Late afternoon/evening was spend having dinner with friends. Friends are so important and must not be ignored. This year I will try to incorporate as much time as I can into catching up with friends even if it’s just a quick coffee. I would also like to point out to whoever may read this blog that I have four real passions:- my family, travel, cooking & dance, in no particular order. My blog will be based around those four passions so I hope you will enjoy reading them. Everyday I will post a singular photo to accompany the text (if I remember to take the photo). Today depicts what I am proposing to do for a good percentage of the year. 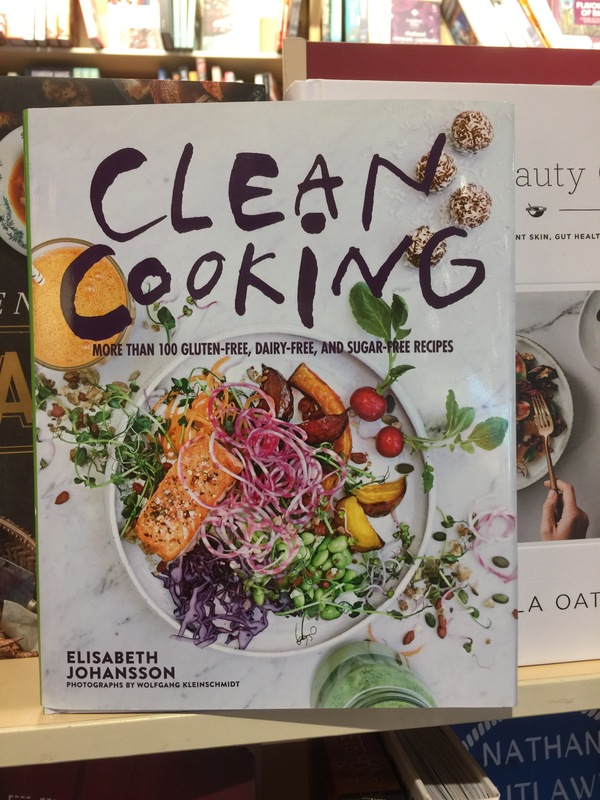 I have “clean eaten” before and have definitely benefitted by doing this but things got in the way and slowly I found myself back to where I was. So, from today I will try again and extend the period of clean eating, let’s see how I go…. Family, Travel, Dance, & Cook with Clare Create a free website or blog at WordPress.com.